Nowhere is the balance of size and power more important than construction sites of restricted size where you are operating power-consuming attachments and the available space makes the use of a large machine impossible or impractical. 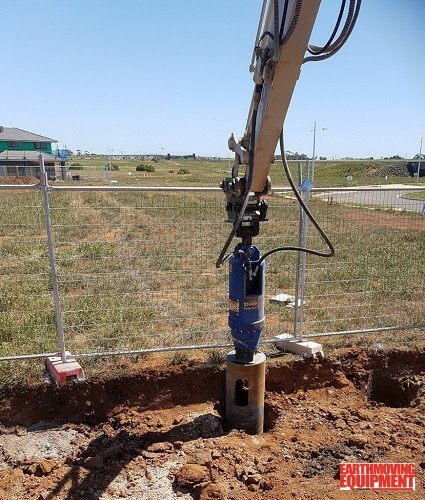 With the design of residential constructions often calling for substantial retaining walls, deep piling, reinforced concrete piers or pool excavation, it’s critical that power resources for efficient, accurate drilling are up to the task. 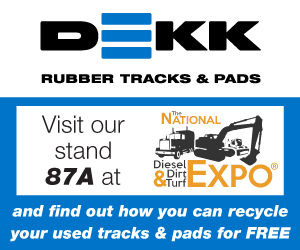 Power becomes even more important for those times you start hitting tough substrate materials or submerged rock segments. 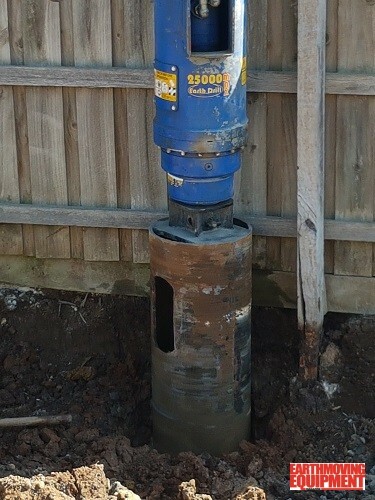 Chintala Pty Ltd is a specialist excavation and drilling contractor that provides pile drilling services to many of Melbourne’s best known residential builders and developers. 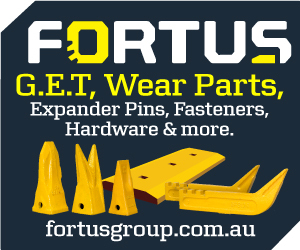 As well as operating throughout the greater Melbourne area, demand for services takes them to regional centres as far as Geelong and Ballarat. With a business focused on drilling, Chintala’s Wal Fleming needed a machine solution that would give him the performance and efficiency needed to supply services quickly. Searching for the right machine led him to the 8.6-tonne Takeuchi TB 280FR zero swing excavator. 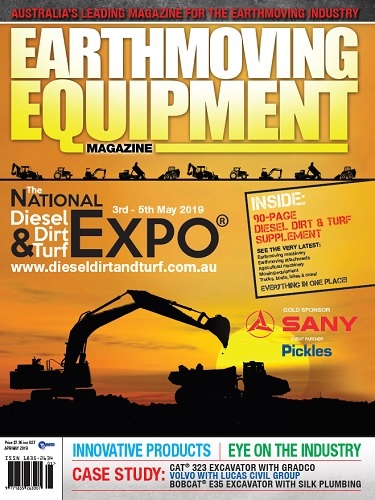 As well as having the compact track width and zero-swing capability needed to dig and load between two driveway walls, the excavator has selectable hydraulic flow that enables him to dial up the optimum flow setting to drive the auger drill. “Having the optional pump flow enables me to utilise almost all of the available engine power to drive the auger, which gives me the level of performance you normally receive from a 12-tonne excavator. The problem with a 12-tonne machine is they take up too much space on many of the residential site applications to constitute most of our work,” said Wal. “The TB 280FR enables me to complete jobs faster and with greater accuracy. It’s a huge benefit to have this very compact machine that has the capability to deliver the high level of hydraulic power needed to complete the most challenging drilling operations. 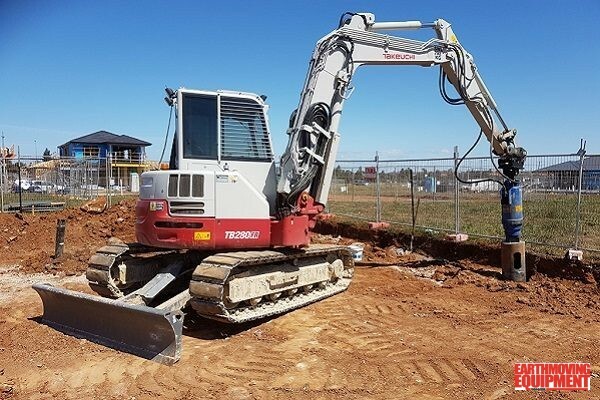 “Another great feature of this gutsy TB 280FR excavator is its narrow track width of just 2300mm, which lets me access sites down a residential driveway. “Space is always a challenge when you are working on residential sites. For example, when excavating for applications such as a swimming pool construction, the zero-swing capability enables me to dig, rotate the stick and boom within the track width and unload the bucket of spoil behind and into a truck. “I find the operator position to be very comfortable. The placement of the handles, controls, seat and the armrests have been thoughtfully designed to minimise fatigue, which is a major issue when you’re spending a lot of time in the machine and concentrating on precision drilling and excavation. Visibility is great. You never find difficulty on keeping your eyes on the job and around you where you may encounter site obstacles. The machine is well designed overall and is perfect for our needs,” Wal said.